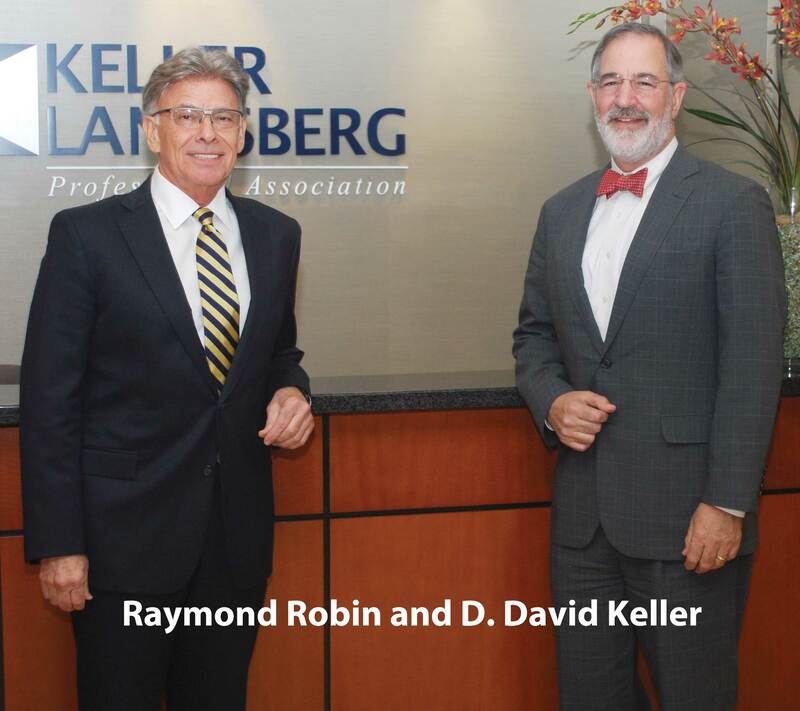 Keller is the co-founder of Keller Landsberg PA, a Fort Lauderdale trial law firm with a focus on legal malpractice and professional liability, insurance coverage and commercial litigation. The 12-attorney firm is a member of Harmonie Group, an international network of law firms that provides legal services to the corporate and insurance risk industry. While most of the firm’s defense cases originate in South Florida, Keller and Robin have handled claims from Key West to Jacksonville, as well as representing firms from New York, Pennsylvania, Illinois, North Carolina, Nevada, West Virginia and Georgia. The firm also represents lawyers who don’t have malpractice insurance coverage and defends lawyers in grievance proceedings by The Florida Bar. For example, Keller successfully defended a prominent lawyer in a $200 million malpractice case in Orlando eight years ago, winning the case on summary judgment without making the headlines. “We also prevailed in a $26 million claim in Orlando by gaining a summary judgment before trial, and at trial last year in a significant probate and trust matter in Polk County,” Keller said. In 2013, Robin, Keller and associate Dena B. Sacharow represented Nordion, a publicly traded Canadian company, in a Florida lawsuit filed by Bioaxone Biosciences Inc. alleging a four-year delay in FDA approval of a new drug cost the plaintiff $90 million in lost profits. The Keller Landsberg team looked at the date of the suit’s filing and found the statute of limitations would bar the case, leading to a settlement for a nominal amount. Throughout his career, Robin has focused on commercial and civil litigation matters, including shareholder cases and breach of fiduciary duty claims. He also represents clients at the appellate level throughout Florida and handles arbitration matters as well. A native of South Africa, Robin earned his undergraduate degree from the University of Witwatersrand in Johannesburg, and his juris doctor and M.B.A. from the University of Miami. While in law school, he served on the UM Law Review and was elected to the Order of the Coif. From 1986 to 1988 he served as judicial clerk to the Honorable Joseph Nesbitt of the Third District Court of Appeal, and then went into private practice with Beasley Olle & Downs, Tew Jordan and Duane Morris. In his 38-year legal career, Keller has tried approximately 50 cases to jury verdict, and handled numerous non-jury trials, arbitration proceedings and appeals. Keller moved to South Florida with his family at the age of 15, and earned a bachelor’s degree in history with honors from Florida Atlantic University and his juris doctor from the University of Florida in 1979. Along with defending lawyers and counseling law firms on risk management issues. Keller also has extensive experience with commercial and insurance litigation including business property insurance claims, arson, fraud, and bad faith cases. He has also successfully handled a number of personal injury plaintiff claims and suits, securing several substantial jury verdicts and settlements for injured parties. “In recent years, I have been asked to review fee applications as an expert witness, including submissions from outside counsel for compliance with outside counsel billing guidelines and The Florida Bar Rules of Professional Conduct,” Keller said. A leader in professional circles, Keller was elected to the Federation of Defense & Corporate Counsel, and the American Board of Trial Advocates (ABOTA), and is a member in the Defense Research Institute, and the Florida Defense Lawyers Association. A past president of the ABOTA, Keller was named “Trial Attorney of the Year” for 2016 by ABOTA’s Fort Lauderdale chapter. Keller is also a current member and immediate past chair of the Seventeenth Judicial Circuit Nominating Commission. He has been a member of the American Bar Association House of Delegates and served The Florida Bar and Broward County Bar Association in varied roles. Keller also served as president of Temple Beth Israel.